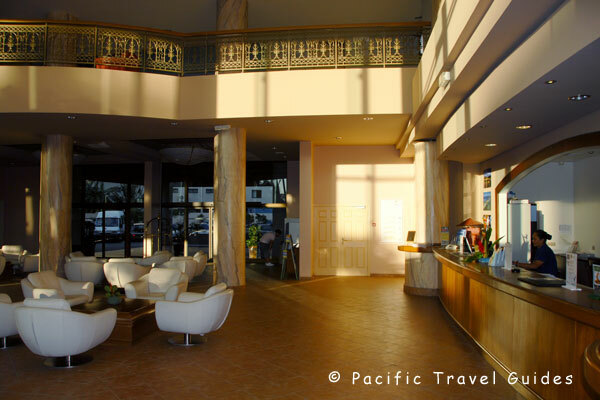 Nouvata Parc New Caledonia is a multi-complex resort comprising of three different wings: Le Parc is two star, Nouvata is three star and Le Pacifique is four star. All three hotels surround a huge swimming pool and share the same facilities including a common reception area, ballroom, bar, restaurant, beauty salon, fitness centre and nightclub. The most upmarket of the three hotels is Le Park, a 7-storey complex with 110 deluxe rooms and suites. 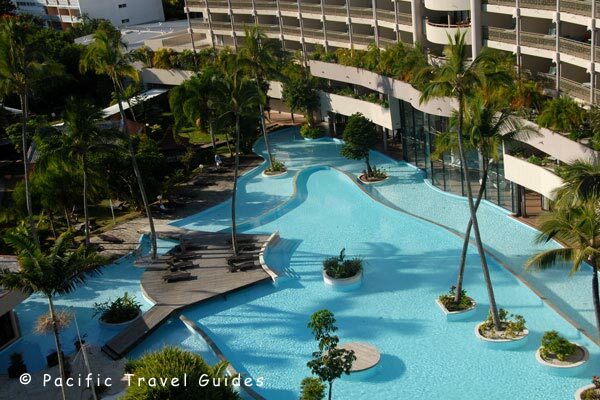 Le Park is a modern hotel overlooking a huge landscaped swimming pool with stylish rooms. Located over seven floors, the Deluxe Rooms have a large living space with separate bed and lounge area and a large terrace with sun loungers. Nouvata is the original portion of the hotel with 73 refurbished superior rooms and sits across the road from Anse Vata Beach. Nouvata Hotel offers comfortable hotel rooms, each with a King size and single bed and small bathroom in a three storey building with views from a small private terrace either towards the Nouvata Park Complex swimming pool or across the road to Anse Vata beach and the ocean. Access to rooms is via a single old lift or classical curved stairway. 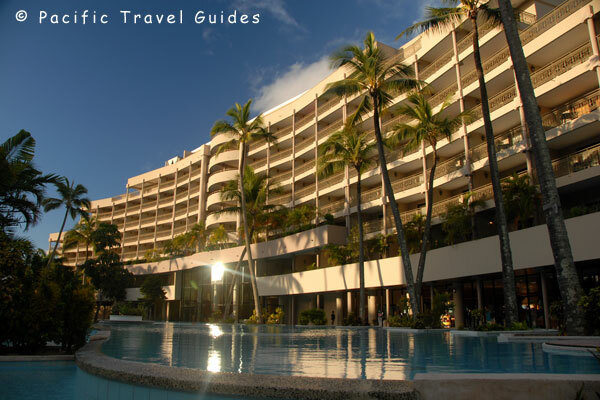 The most affordable is the two-star Le Pacifique with 120 standard rooms over 10 floors. 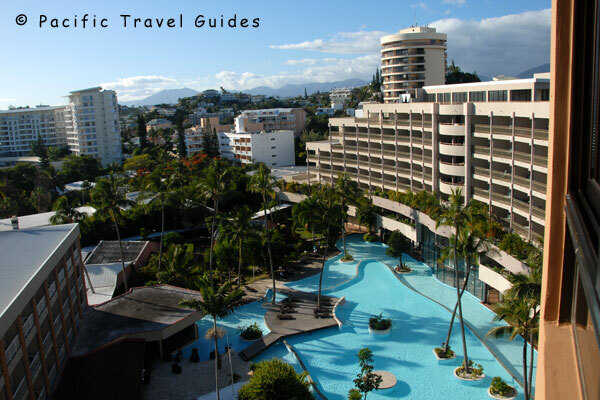 Le Pacifique Hotel is a 10-storey hotel tower with 120 standard rooms with either a double and single bed or three single beds, and with interconnecting rooms available for families. These rooms are the smallest room sizes in the Nouvata Complex but have a fridge, microwave oven and tea and coffee making enabling guests to enjoy light snacks.